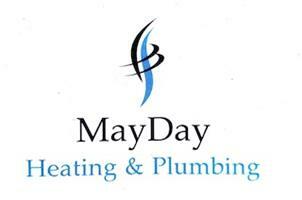 MayDay Heating & Plumbing - Central Heating Engineer based in Southampton, Hampshire. MayDay Heating & Plumbing is run by a former Royal Marine. Although I left the Marines to retrain in a new field, I brought all the qualities of hard work, integrity, punctuality and communication with me. I am a stickler for keeping the customer informed from start to finish, regardless of the size of the job. I am trained in the installation, repair and maintenance of cookers, fires and boilers. I undertake all plumbing work from changing a washer on a tap to the installation of whole heating systems. I work closely with bathroom specialists, tilers and electricians so all your needs can be catered for by 1 company. I have over 300 reviews on job lead sites with only 1 negative review (touch wood it stays the same). I don't mind admitting this review: It was in my early days as a plumber, and although it is no excuse, it is something I learned from and strived to improve. You will always have my utmost profession from start to finish. I always provide aftercare support to any installation I have undertaken and am happy to offer advice to anyone who needs it. I will always keep the customer informed about the job, from confirming the booking via email or text, messaging the day before to remind them of the job and then messaging with an exact timing on the day. I am a firm believer that as long as the customer knows what it happening, anything else can be accommodated around it. If I am to install a boiler, I like it to be my boiler for it's entire life. I will service and maintain it each year, and will be on hand for any issues or queries. As an approved installer for BAXI and ATAG, I can oversee the quicker repair of your boiler, as well as the skilled maintenance of it.